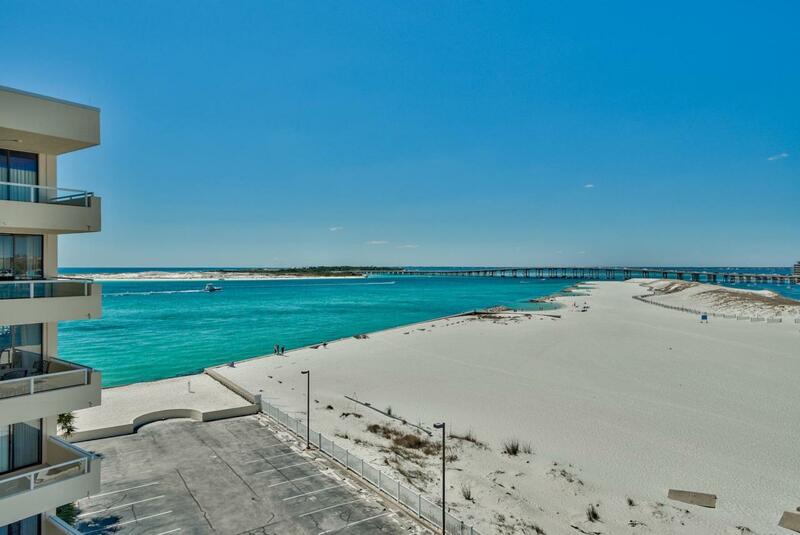 This condominium is situated on Holiday Isle, on the very west end of a barrier Island, between Destin Harbor and the Destin Pass - stunning location, unequaled panoramic views and a recent rental history peaking at $71K. 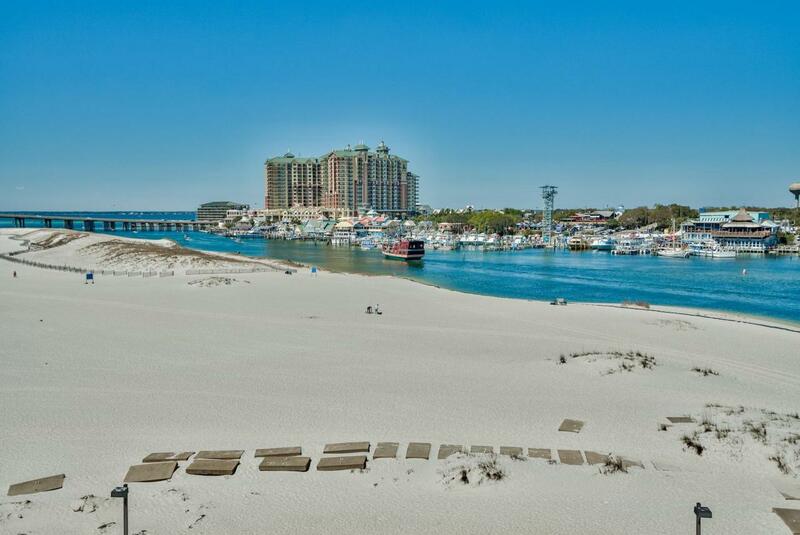 This 5th level unit features a uniquely split floor plan with two guest suites & a family room opposite the master suite - and ALL WITH WATERFRONT VIEWS! 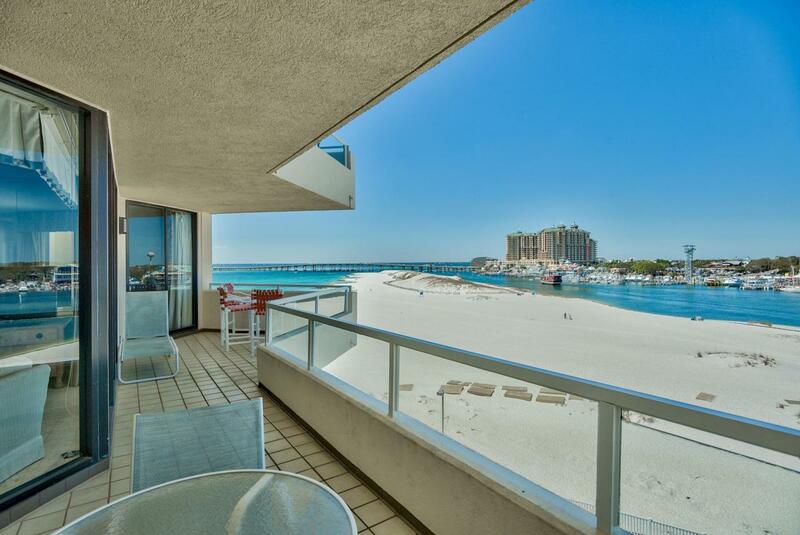 All 3 bedrooms, the 2 living areas and a waterfront dining venue have balcony access and floor to ceiling windows. The kitchen features breakfast bar, tile floor and stainless appliances.The waterfront master bath offers dual vanity, walk-in shower and separate soaking tub. The main living room area includes a wet bar and an adjoining dining area. 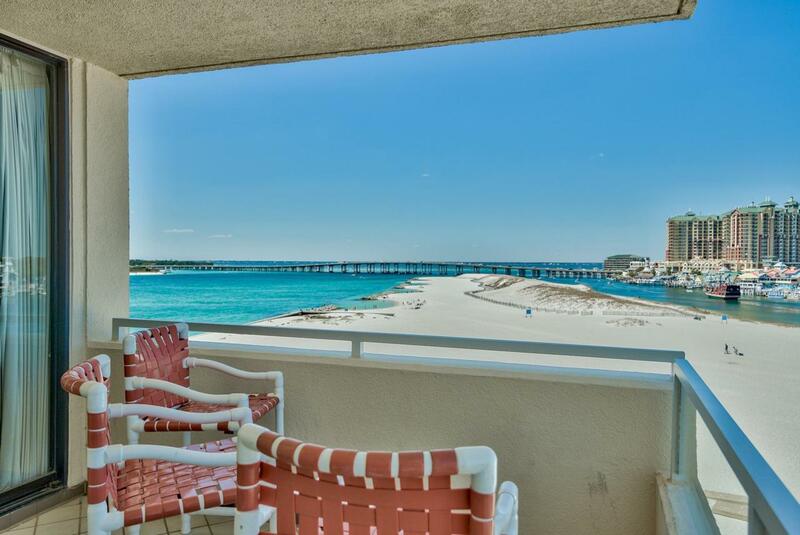 This is a ''must see'' with stunning views from a balcony running the entire length of the unit. East Pass Towers Residents & Guests Enjoy the Following: - Secure, Gated Community - A Private Beach [built up on a seawall] - Expansive Beach " Side Pool - Hot Tub & 1 Levels of Sun Decks - Fitness Center/Community Room With Kitchen - 2 and a half miles of paved trails for walking and biking on Holiday Isle - Access to restaurants & harbor front adventures via Water Taxi Whether your are interested in an active lifestyle; fishing, sailing, shopping, snorkeling, dining, ect.. along the harbor or a relaxing respite from the crowds - this location will be perfect!